The Playoffs Are Underway! - Gianfranco Cassaro sets up to move the puck out of his defensive zone. The Phantoms came out last night to play a physical game, it was obvious from the start. When the Phantoms lead with the Needham, DeLuca, and Amonte line, they probably mean to throw some checks. Unfortunately, we forgot to play the skilled shooting game and now have to win tonight and tomorrow night to stay alive. I guess it should have been a sign that 0:40 into the game, Tristian Amonte took a checking from behind penalty. We put him out there to hit people, I guess that's to be expected. The first frame was pretty uneventful outside of that. The Phantoms were outshot 11-4 but neither side put up any goals. The Phantoms did jump out to a lead in the second. After a Matthew Barnaby goal was waived off for interference earlier in the period, Brett Murray capitalized on a misplayed puck by the Dubuque defense. On a simple play where Jeppe Urup sent a pass up the boards and Brett Murray tipped it into the zone where in came to Saints' defenseman Luke Robinson in the corner . Robinson tried to push the puck back up ice one handed as he turned but ended up settling the puck for the charging Murray with his back turned to the oncoming Phantoms' leading scorer. Murray wasted no time in scooping the puck up and putting a sharp angle shot on net from the goal line that surprised Saint's netminder Matthew Thiessen for a goal at 10:21. Despite being outshot again, 10-5, in the period the Phantoms took a 1 goal lead into the third period. However, this was short lived once the period started. Shortly after a little bit of carryover penalty time for the Phantoms expired, a backwards skating Josh DeLuca blew a tire and slid into Chad Veltri as Saint's forward Bram Scheerer shot the puck, scoring at 1:58. Dubuque took the lead at 11:32 when the speedy Reise Gaber took the puck behind Veltri's net and wrapped arround a pass for Ty Jackson to deflect home for the eventual game winner. 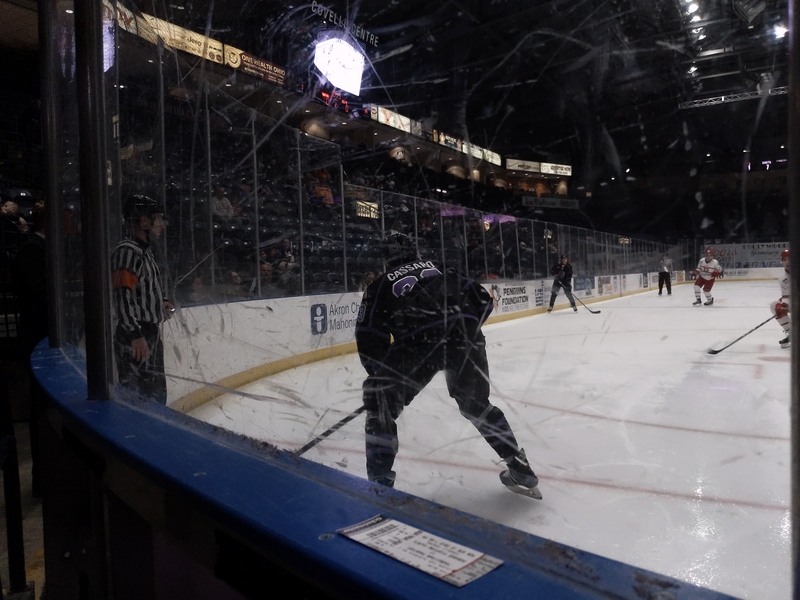 The Phantoms would get a golden oppertunity to tie the game when both of the Jackson twins went to the penalty box at the same time, giving the Phantoms a full 2:00 5-on-3 powerplay. The Phantoms managed only 2 shots on goal and only attempted maybe 8 total, mostly from the parameter which were blocked. Half of the time they did not even look at the net, opting to try to pass at every chance. Derek Contessa added an empty net with 0:31 and the Phantoms dropped the first game of the 3 game series at home. Shots in the final frame were at least a little more even, 9-8 in favor of Dubuque. The Phantoms did manage to muster a small sense of desperation towards the end of the game but being outshot 30-17 total doesn't even really give you the sense of how unconcerned they seemed to be about scoring. It wasn't that the Saints had a lot more energy, though they did seem to have a little more jump to their game than the Phantoms. It seemed we just did not factor scoring into the game plan. Early in the game, the 3M line took a back seat to the checking lines. I can understand wanting to save a little in the tank for your top scorers, but the focus for the Phantoms seemed to be focus on physical play, and we forgot to score. At this point, I should mention that referee Jake Jackson is as incompetent as I've seen in the league in quite a few years. He continuously ignored trips, holds, players being pinned to the ice and crosschecked and there was no way he could not have seen most of these unless he was legally blind. Needless to say, most of these missed calls would have gone our way. The majority of you know me well enough to know I try to be as unbiased here as possible so I am not just saying this lightly. But when you only get 2 shots on net on a full 5-on-3 powerplay when the zebras do make the calls, it probably didn't matter in the long run anyway. I hope Coach Patterson makes a few adjustments. 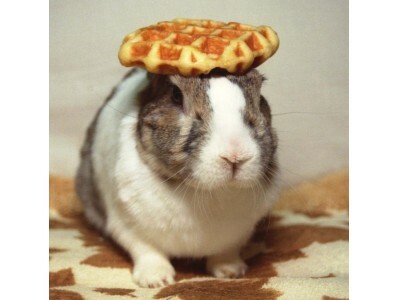 Most importantly, we need to see a much greater sense of urgency tonight. We need to put everything on net, even the Covelli's kitchen sinks better be sent Thiessen's way. If they're not desperate to win tonight the season will be over. 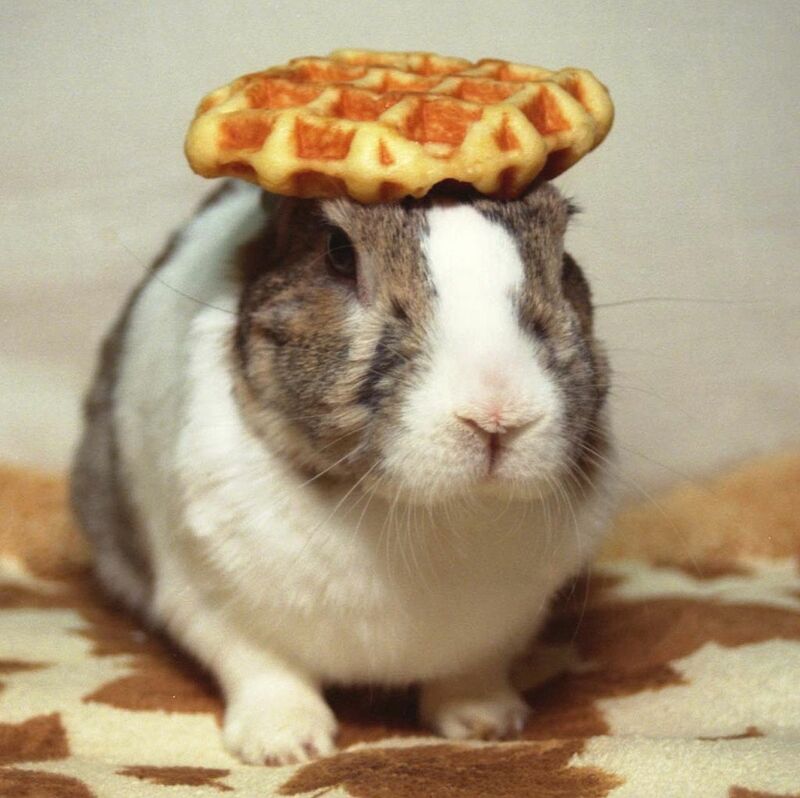 Also, since the lone goal was at the far end of the arena and we stunk the place up - here is a picture of a bunny with a waffle on it's head.